Six dozen exhibitors and sponsors set up booths in the exhibit hall at the 223rd AAS meeting, and the venue was crowded with attendees seeking information and bargains, especially during coffee breaks and afternoon poster sessions. 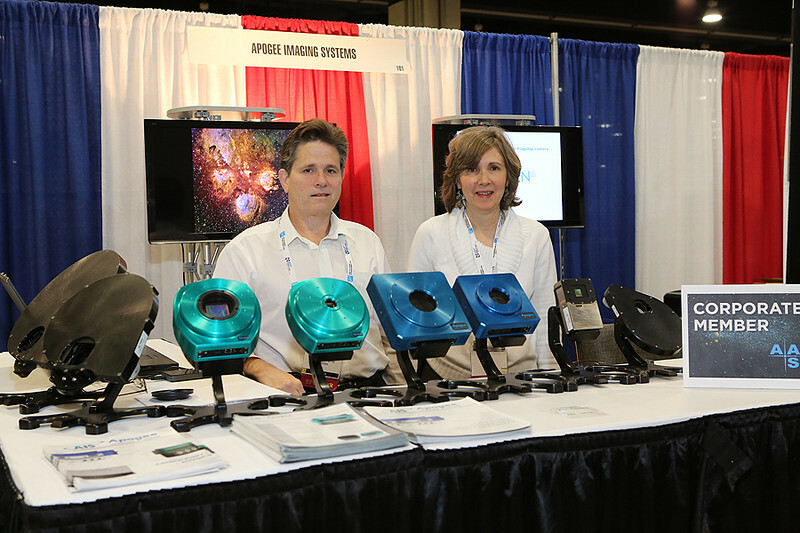 Six dozen exhibitors and sponsors set up booths in the exhibit hall at the 223rd AAS meeting, including Tim Puckett and Ingrid Siegert of Apogee Imaging Systems. AAS photo © 2014 Joson Images.